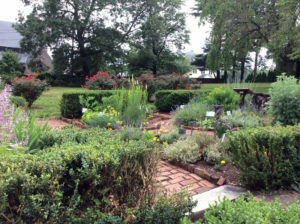 Colonial herb garden at the Varnum House Museum. 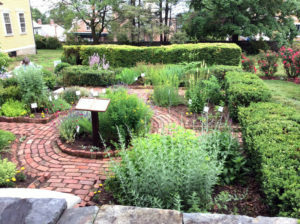 The Varnum House Museum Garden is a recreation of a historic dye, medicinal, and household garden using plants appropriate to the era of the house. 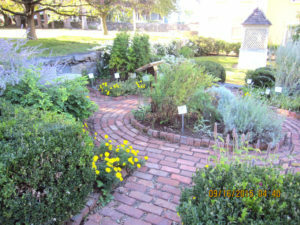 In 2011, the URI Master Gardeners created a garden using the existing brick work, walls, and boxwood hedges as a framework. They researched plants and laid out the framework of the garden at that time. 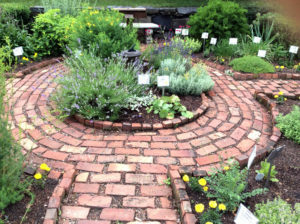 Each year, the Master Gardeners have added or refined our selection of plants. 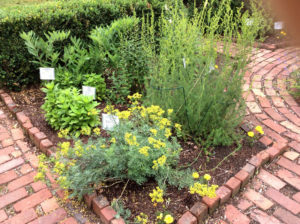 In the dye garden, you will find Madder, Indigo, Russian Sage, Tansy, Marigolds, and Lady’s Bedstraw. 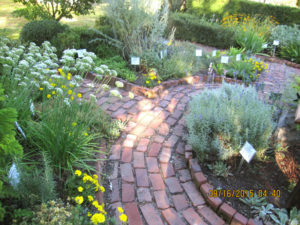 Medicinal plants include Betony, Cimicifuga Racemosa, Hyssop, Foxglove, and St. John’s Wort. Household plants include herbs used for cooking but also for other uses. Each plant has a function and would have served the household in different ways during Colonial times. 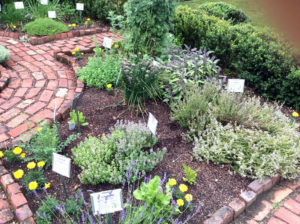 All the plants are self-sustaining, drought tolerant, and have survived with a good foundation and care. 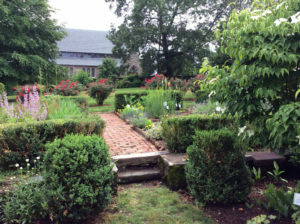 Knock-out roses were added as a border to enhance the existing plantings and hedges.